Among auto body shops in Ontario, Montclair Auto Body takes the initiative to go above and beyond the basic requirements necessary to fix GMC vehicles and to operate a collision repair facility. Our technicians take serious interest and pride in their work, pursuing extra GMC training when necessary. We strive to establish meaningful relationships with our customers based on our GMC knowledge and mechanical experience-and our ability to provide exceptional repairs. 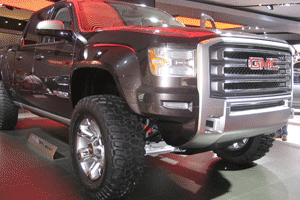 GMC vehicles are quite complex pieces of machinery. Like our technicians, our Ontario facility is up to the task of capably handling even the most difficult auto body repairs. We have computerized diagnostics to use on GMC vehicles to accurately assess automotive problems, and state-of-the-art equipment to facilitate the repair process.